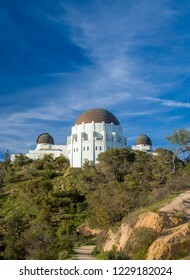 4,021 stock photos, vectors, and illustrations are available royalty-free. 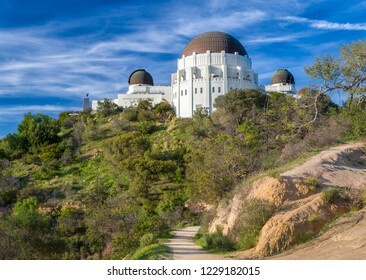 Historic Griffith Observatory in the Hollywood Hills of Los Angeles, California. 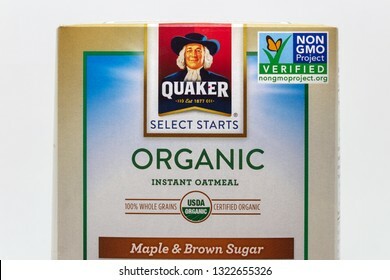 ST. PAUL, MN/USA - FEBRUARY 24, 2019: Quaker Select Starts Organic Oatmeal box with Non GMO Verified label and trademark logo. 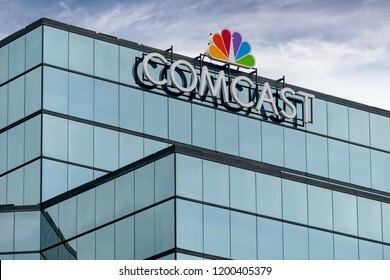 ST. PAUL, MN/USA - SEPTEMBER 30, 2018: Comcast Corporation regional headquarters and trademark logo. 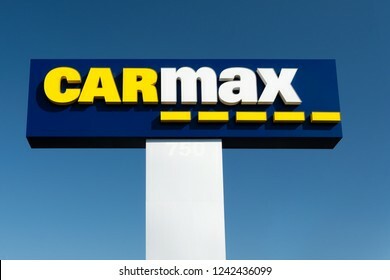 SAN JOSE, CA/USA - OCTOBER 20, 2018: Carmax dealership sign and logo. CarMax is the United States' largest used-car retailer and a Fortune 500 company. 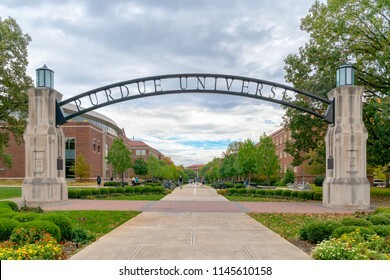 WEST LAFAYETTE, IN/USA - OCTOBER 22, 2017: Entrance gate and walkway on the campus of the Purdue University. 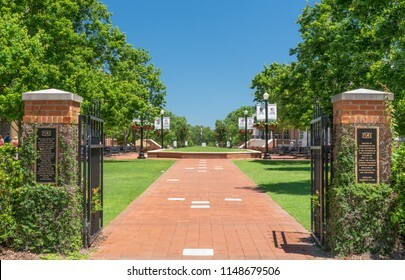 TUSCALOOSA, AL/USA - JUNE 6, 2018: Historical campus gates to the campus of University of Alabama. 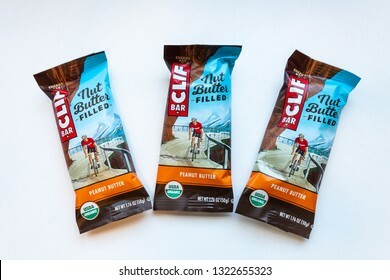 ST. PAUL, MN/USA - FEBRUARY 24, 2019: Clif Bar peanut butter energy bar grouping of three and trademark logo. Clif Bar & Company is an American company that produces organic foods and drinks. 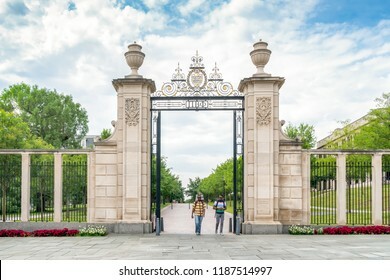 FAYETTEVILLE, AR/USA - JUNE 8, 2018: Unidentified inviduals and campus gates to the University of Arkansas. FAYETTEVILLE, AR/USA - JUNE 8, 2018: Verizon Wireless sign and rademark logo. 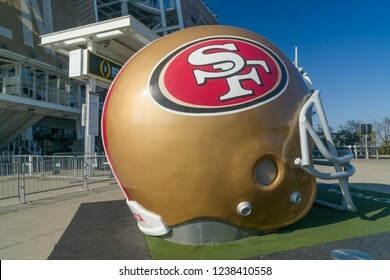 Verizon Wireless is a wholly owned subsidiary of Verizon Communications, Inc.
SANTA CLARA, CA/USA - OCTOBER 20, 2018: San Francisco 49ers life size helmet outside Levi's Stadium. 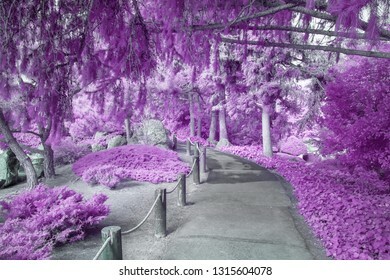 Shaded canopy of infrared color foliage over path in infrared color. 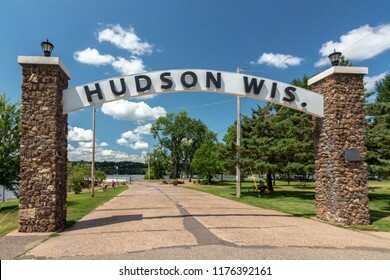 ST. PAUL, MN/USA - FEBRUARY 16, 2019: Grouping of Budweiser beer and trademark logo. 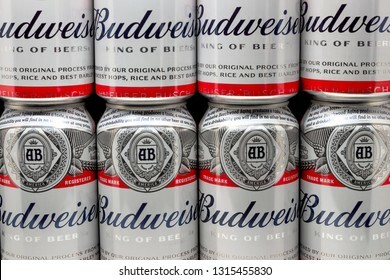 Budweiser is an American-style pale lager produced by Anheuser-Busch. CAPITOLA, CA/USA - FEBRUARY 15, 2014: Capitola Venetian Hotel and Capitola State Beach. 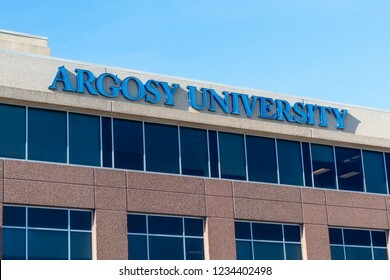 ST. PAUL, MN/USA - NOVEMBER 18, 2018: Argosy University exterior and trademark logo. 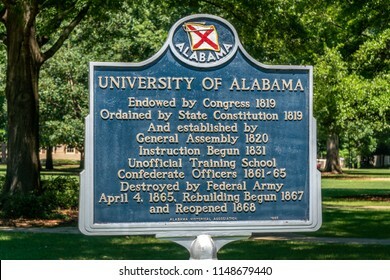 Argosy University is a system of for-profit colleges owned by Dream Center Education Holdings. CHANHASSEN, MN/USA - MARCH 17, 2018: Walgreens store exterior and sign. 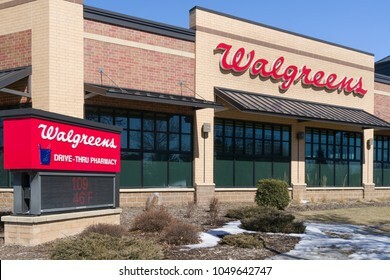 Walgreens is the largest drug retailing chain in the United States. 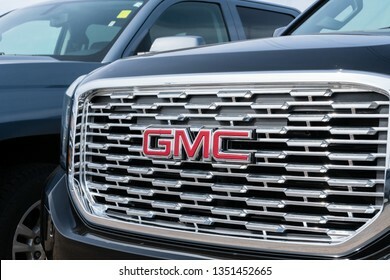 STILLWATER, MN/USA - MARCH 24, 2019: GMC automobile truck grille and trademark logo. 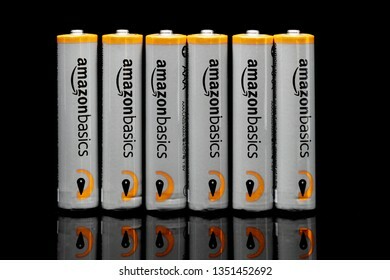 ST. PAUL, MN/USA - MARCH 18, 2019: AmazonBasics grouping of AAA batteries. AmazonBasics is a private-label that offers home goods, office supplies, and tech accessories. 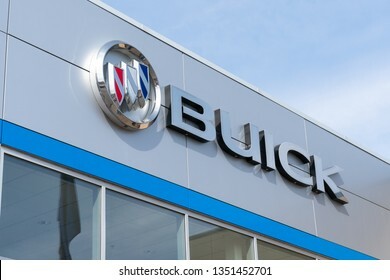 STILLWATER, MN/USA - MARCH 24, 2019: Buick automobile dealership and trademark logo. 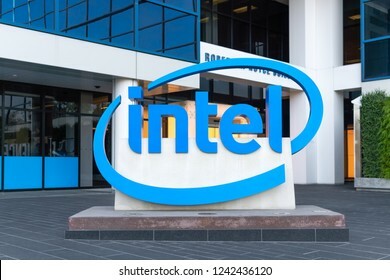 SANTA CLARA, CA/USA - OCTOBER 20, 2018: Intel corporate offices and trademark logo. WOODBURY, MN/USA - APRIL 29, 2018: Sam's Club exterior. 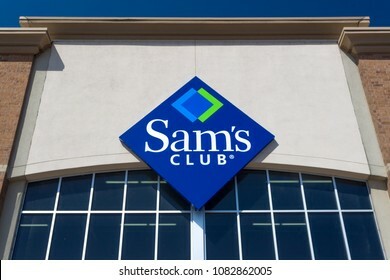 Sam's Club is an American chain of membership-only retail warehouse clubs owned and operated by Walmart. 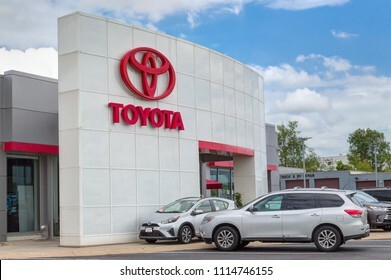 INVER GROVE HEIGHTS, MN/USA - JUNE 17, 2018: Toyota autombile dealership exterior and trademark logo. 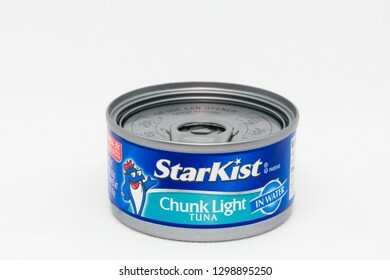 ST. PAUL, MN/USA - JANUARY 29, 2019: Starkist Chunk Light tuna. 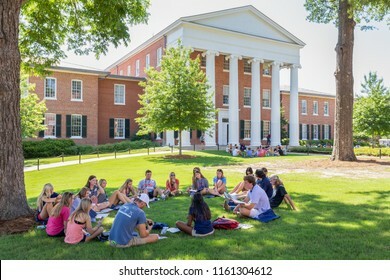 StarKist Tuna is the name of a brand of tuna that is produced by StarKist Co.
OXFORD, MS/USA - JUNE 7, 2018: Unidentified individuals gathered on the campus of the University of Mississippi. 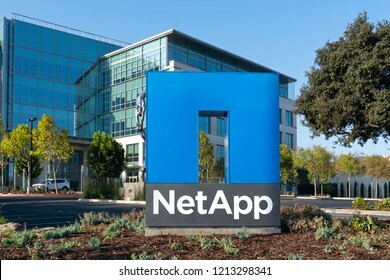 SUNNYVALE, CA/USA - OCTOBER 20, 2018: NetApp corporate headquarters and trademark logo. NetApp, Inc. is a hybrid cloud data services and data management company. 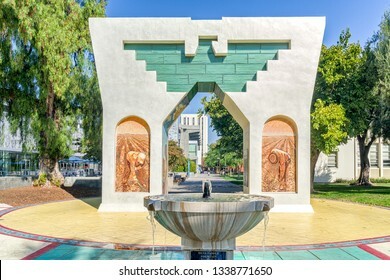 SAN JOSE, CA/USA - OCTOBER 21, 2018: Silva Family Fountain and Cesar Chavez Monument on the campus of San Jose State University. 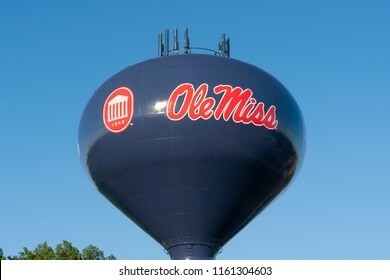 OXFORD, MS/USA - JUNE 6, 2018: Campus logo on watertower over the campus of the University of Mississippi. 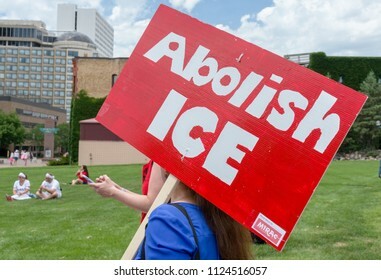 MINNEAPOLIS, MN/USA - JUNE 30, 2018: Unidentified individual carrying a sign saying "Abolish Ice" at the Families Belong Together march. ST. PAUL, MN/USA - AUGUST 29, 2018: The Home Depot exterior. 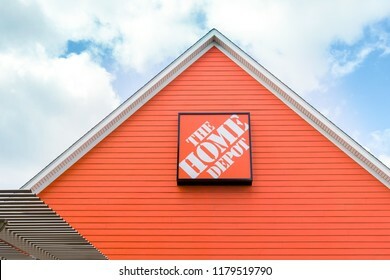 Home Depot is an American retailer of home improvement and construction products, supplies and services. ST. PAUL, MN/USA - MARCH 4, 2019: Jennie-O Turkey Pastrami and trademark logo. 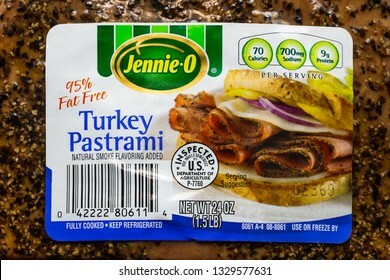 Jennie-O Turkey Store is a brand name of turkey products owned by the Hormel Foods Corporation. 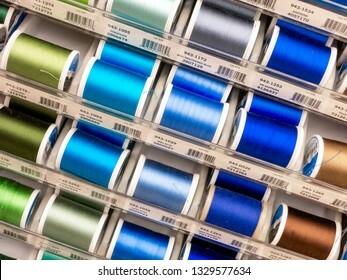 ST. PAUL, MN/USA - MARCH 3, 2019: Sulky of America spools of thread and trademark logo. Sulky is a manufacter of thread and craft supplies. COLUMUBUS, OH/USA - OCTOBER 21, 2017: Kroger grocery store exterior and logo. 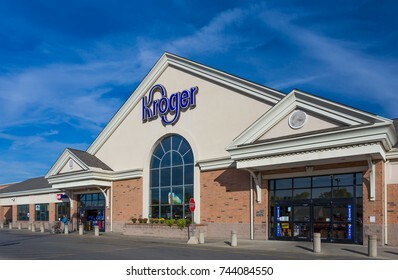 The Kroger Company is an American supermarket chain. 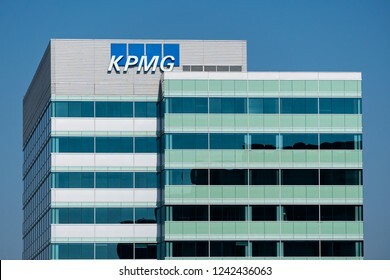 SANTA CLARA, CA/USA - OCTOBER 20, 2018: KPMG corporate facility and trademark logo. KPMG is a professional service company. 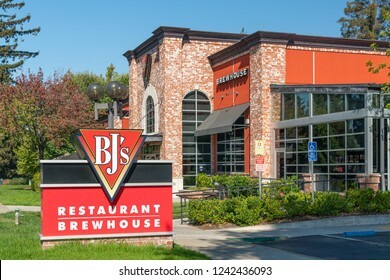 CUPERTINO, CA/USA - OCTOBER 20, 2018: BJ's Restaurant Brewhouse Sign. BJ’s Restaurants, Inc. currently owns and operates 148 casual dining restaurants under the name BJ's Restaurant & Brewery. 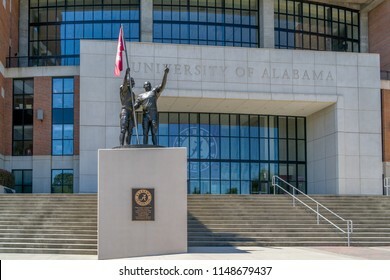 TUSCALOOSA, AL/USA - JUNE 6, 2018: Bryant-Denny Stadium on the campus of University of Alabama. 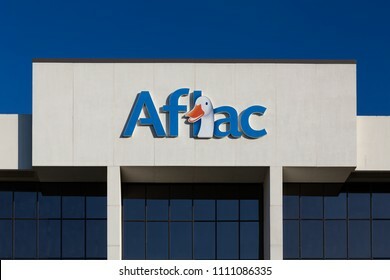 COLUMBIA, SC/USA - JUNE 4, 2018: Aflac Insurance corporate building and trademark logo. American Family Life Assurance Company is an American insurance company. 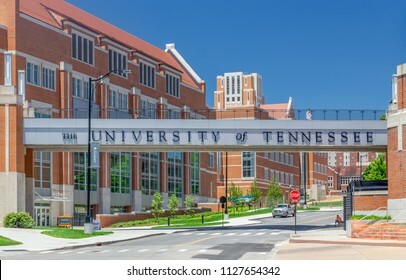 KNOXVILLE, TN/USA JUNE 4, 2018: Entrance and walkway to the the campus of the University of Tennessee. 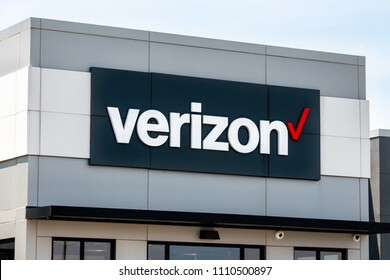 FAYETTEVILLE, AR/USA - JUNE 8, 2018: Verizon Wireless retail store and trademark logo. 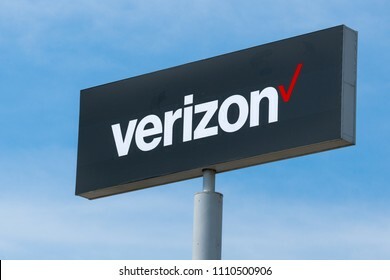 Verizon Wireless is a wholly owned subsidiary of Verizon Communications, Inc.
TUSCALOOSA, AL/USA - JUNE 6, 2018: Publix grocery store exterior and logo. 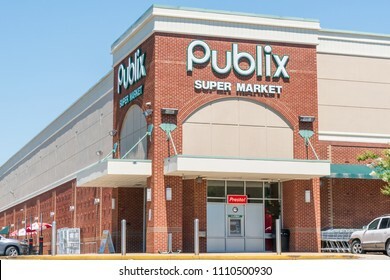 Publix Super Markets, Inc. is a American supermarket chain. 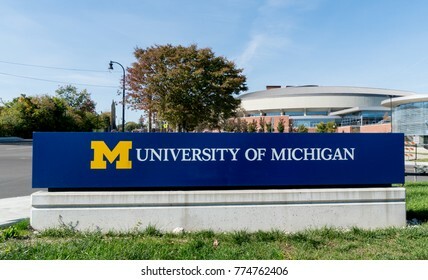 ANN ARBOR, MI/USA - OCTOBER 20, 2017: Entrance sign to the campus of the University of Michigan. 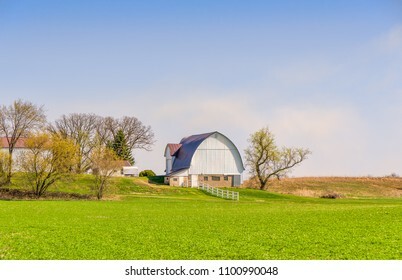 White barn and green pasture on farm in rural western Wisconsin in Spring. SAN DIEGO, CA/USA - JANUARY 13, 2018: Hepner Hall on the campus of San Diego State University. 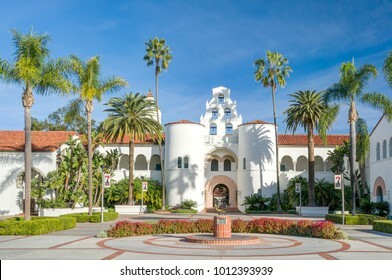 SDSU, San Diego State is a public research university. 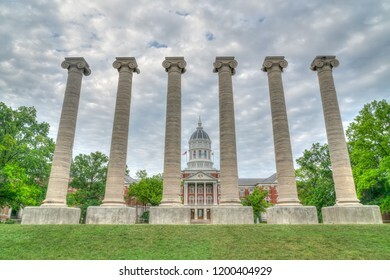 COLUMBIA, MO/USA - JUNE 9 , 2018: Lonic columns and Jess Hall at the University of Missouri. ST. PAUL, MN/USA - AUGUST 29, 2018: Peterbit semi-trailor grille and trademark logo. 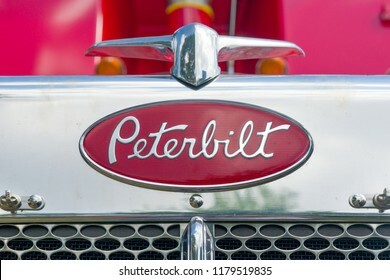 Peterbilt Motors Company an American manufacturer of medium- and heavy-duty trucks. 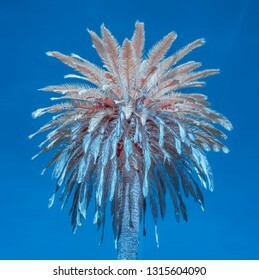 One palm tree against Southern California blue sky in infrared color. LOS ANGELES, CA/USA - MAY 8, 2015: Monopoly board game macro image. 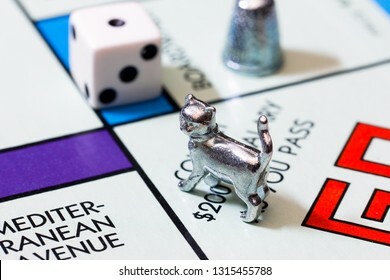 Monopoly is a board game that originated in the United States. 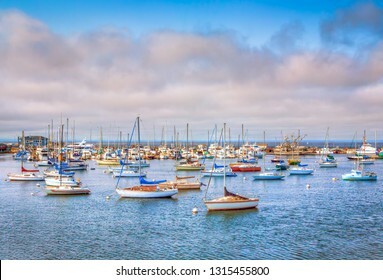 MONTEREY, CA/USA - AUGUST 7, 2014: Historic Monterey Harbor and Marina at dusk. 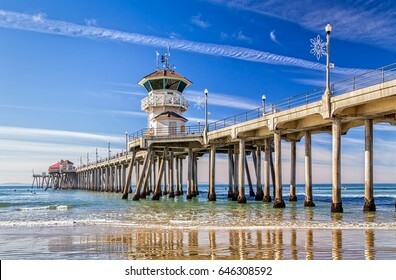 The Huntington Beach Pier in Huntington Beach, California. 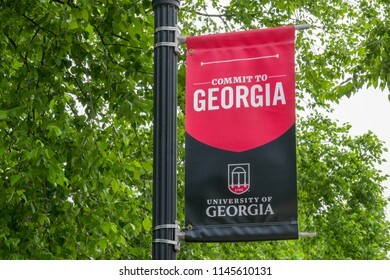 ATHENS, GA/USA JUNE 5, 2018: College banner and emblem on the campus of the University of Georgia. 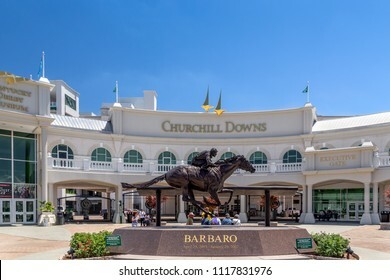 LOUISVILLE, KY/USA - JUNE 3, 2018: Barbaro monument and statue at Church Hill Downs. SAN JOSE, CA/USA - JULY 30, 2017: Cisco corporate headquarters and logo. 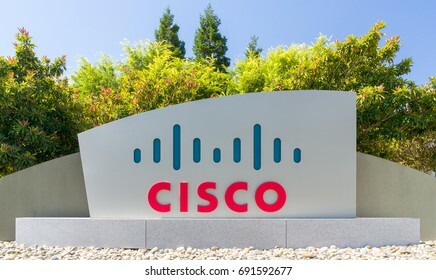 Cisco Systems, Inc. is an American multinational technology conglomerate. 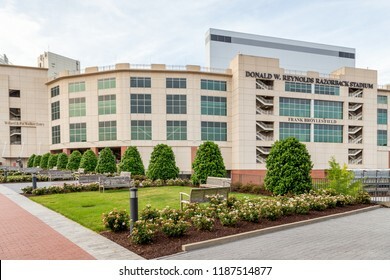 FAYETTEVILLE, AR/USA - JUNE 7, 2018: Donald W. Reynolds Razorback Stadium and Frank Broyles Field. PASADENA, CA/USA - JANUARY 7, 2018: Rose Bowl stadium and logo. 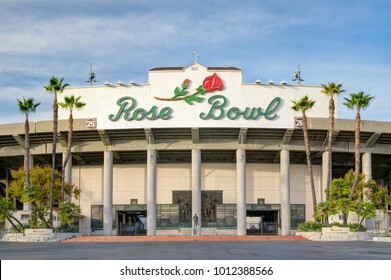 The Rose Bowl is a United States outdoor athletic stadium. 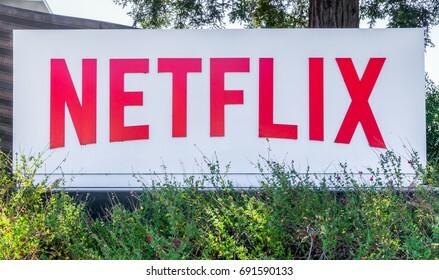 LOS GATOS, CA/USA - JULY 29, 2017: Netflix corporate headquarters and logo. Netflix specializes in and provides streaming media and video-on-demand online and DVD by mail. 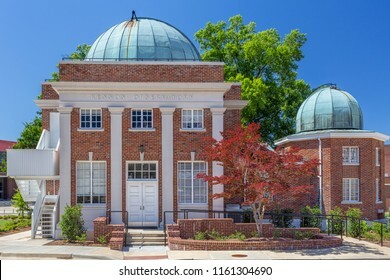 OXFORD, MS/USA - JUNE 7, 2018: Kennon Observatory on the campus of the University of Mississippi. 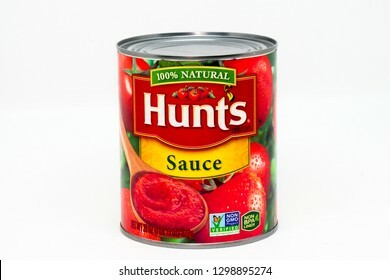 ST. PAUL, MN/USA - JANUARY 28, 2019: Hunt's brand tomato sauce and trademark logo. 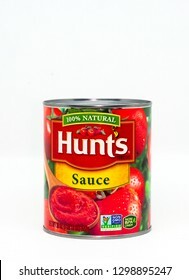 Hunt's is the name of a brand of preserved tomato products owned by Conagra Brands. 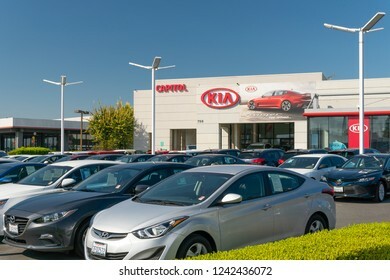 OCTOBER 20, 2018: Kia Autombile Dealership Sign. Kia is a South Korean manufacturer of automobiles and commercial vehicles. 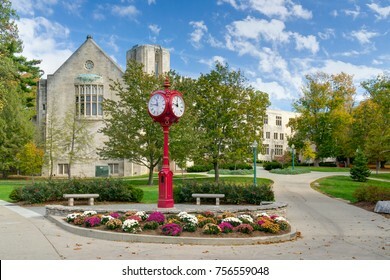 BLOOMINGTON, IN/USA - OCTOBER 22, 2017: Landmark campus clock and logo on the campus of the University of Indiana. 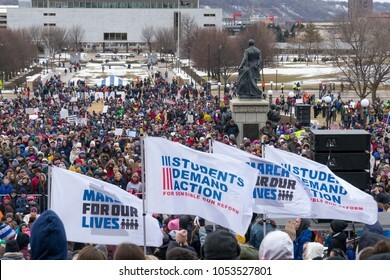 ST. PAUL, MN/USA - MARCH 24, 2018: Unidentified individuals participating in the March for our Lives protest at the Minnesota State Capitol. 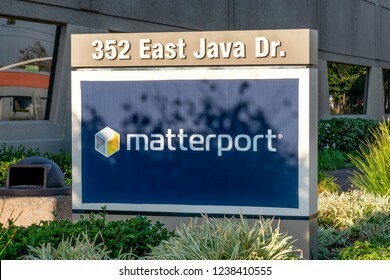 SUNNYVALE, CA/USA - OCTOBER 20, 2018: Matterport Silicon Valley exterior sign and trademark logo. 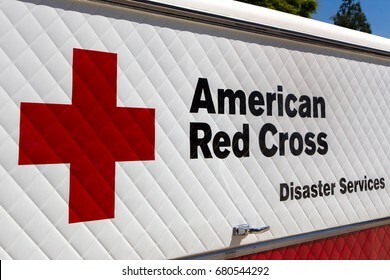 SANTA CLARA, CA/USA - OCTOBER 20, 2018: McAfee corporate headquarters building and trademark logo. 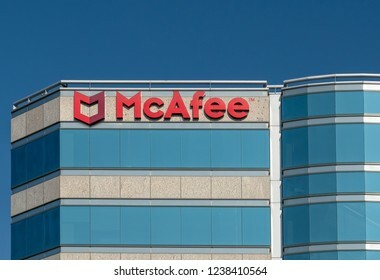 McAfee is part of the Intel Security division. WOODBURY, MN/USA - JANUARY 19, 2019: Potbelly Sandwich Shop exterior sign and logo. 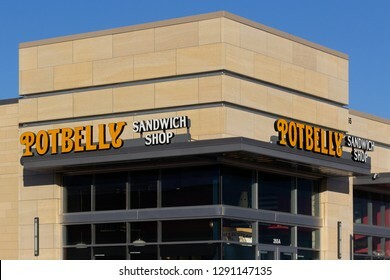 Potbelly Corporation is a publicly traded restaurant chain that sells submarine sandwiches. 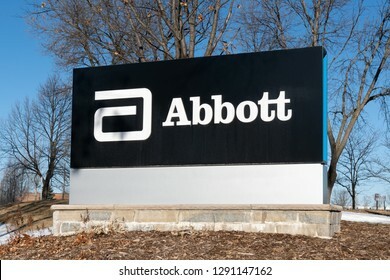 MINNEAPOLIS, MN/USA - JANUEARY 19, 2019: Abbott Laboratories exterior signand logo. Abbott Laboratories is an American worldwide health care company. 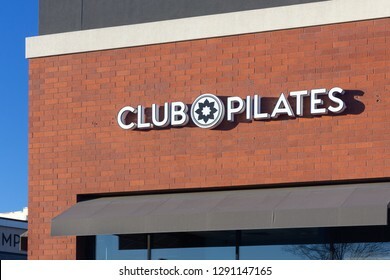 WOODBURY, MN/USA - JANUARY 19, 2019: Club Pilates exterior and trademark logo. Club Pilates is a network of group Pilates studios. ST. LOUIS PARK, MN/USA - MARCH 17, 2018: Courtyard by Marriot exterior sign and logo. 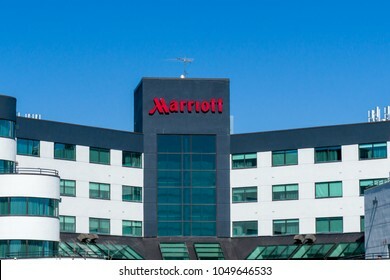 Courtyard by Marriott is a brand of hotels owned by Marriott International. 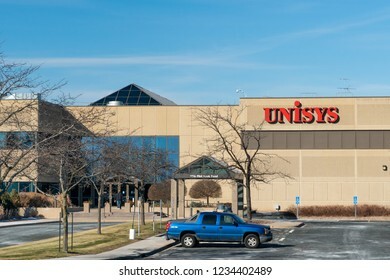 ST. PAUL, MN/USA - NOVEMBER 18, 2018: Unisys corporate campus and trademark logo. Unisys Corporation is an American global information technology company. 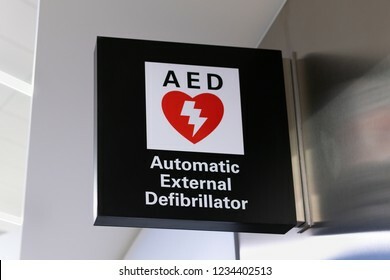 SAN FRANCISCO, CA/USA - OCTOBER 10, 2018: Automatic External Defibrillator sign and logo. 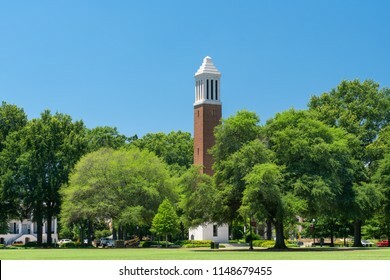 TUSCALOOSA, AL/USA - JUNE 6, 2018: Denny Chimes tower on The Quad at the campus of University of Alabama. 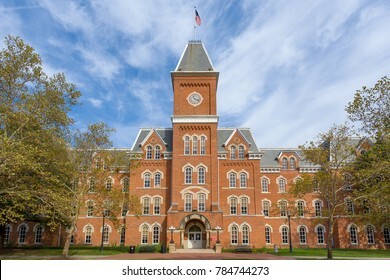 COLUMBUS, OH/USA - OCTOBER 21, 2017: University Hall on the campus of The Ohio State University. ST. PAUL, MN/USA - JANUARY 21, 2016: Unidentified particpants at the 2017 Women's March Minnesota. 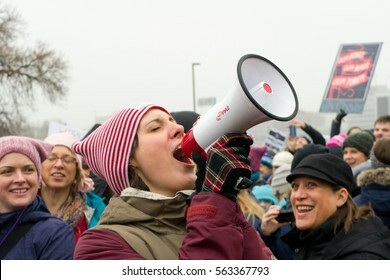 The Women's March represented the worldwide protest to protect women's rights and other causes. 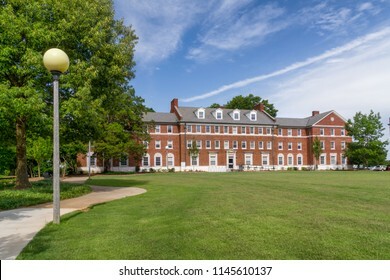 ATHENS, GA/USA JUNE 5, 2018: John Milledge Hall on the campus of the University of Georgia. 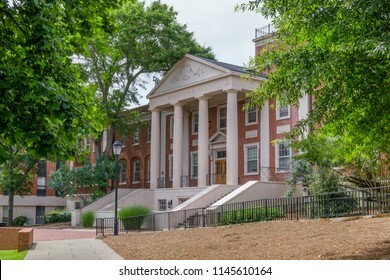 ATHENS, GA/USA JUNE 5, 2018:Robert E. Park Hall on the campus of the University of South Carolina. 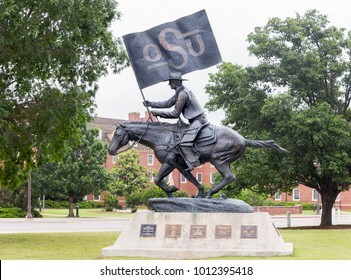 STILLWATER, OK/USA - MAY 20, 2016: The OSU Spirt Rider on the campus of Oklahoma State University. 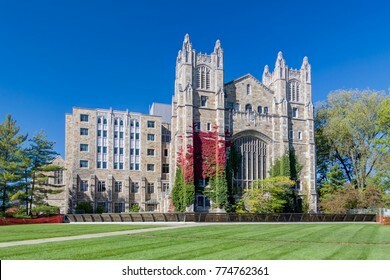 ANN ARBOR, MI/USA - OCTOBER 20, 2017: University of Michigan Law School Library on the campuus of the University of Michigan. 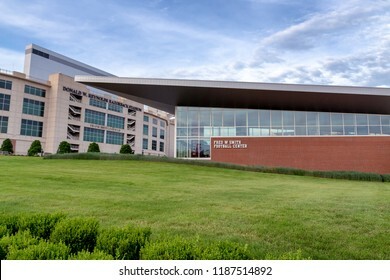 FAYETTEVILLE, AR/USA - JUNE 7, 2018: Fred W. Smith Football Center on the campus of the University of Arkansas. 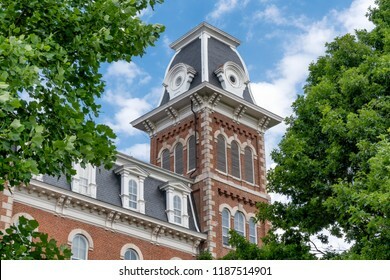 FAYETTEVILLE, AR/USA - JUNE 8, 2018: University Hall at Old Main on the campus of the University of Arkansas. 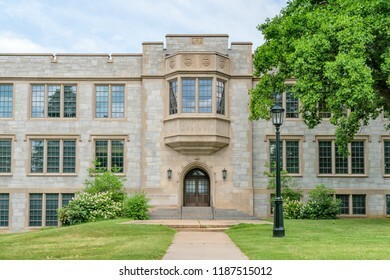 FAYETTEVILLE, AR/USA - JUNE 8, 2018: David Gearhart Hall on the campus of the University of Arkansas. 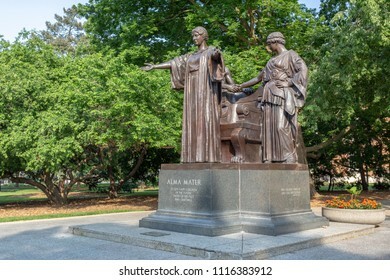 URBANA, IL/USA - JUNE 2, 2018: The Alma Mater statue by sculptor Lorado Taft on the campus of the University of Illinois at Urbana–Champaign. 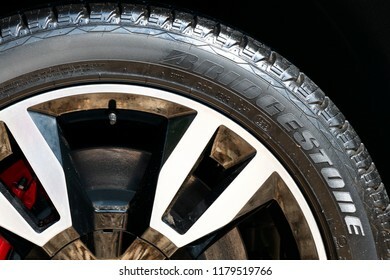 ST. PAUL, MN/USA - AUGUST 29, 2018: Bridgestone tire detail and trademark. Bridgestone Corporation is a multinational auto and truck parts manufacturer. ST. PAUL, MN/USA - AUGUST 29, 2018 :Harley-Davidson detail and logo. 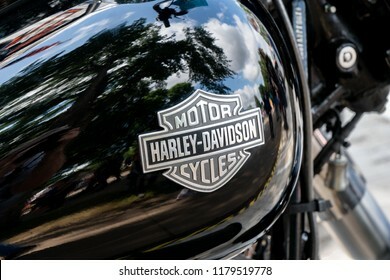 Harley-Davidson, Inc. is an American motorcycle manufacturer. 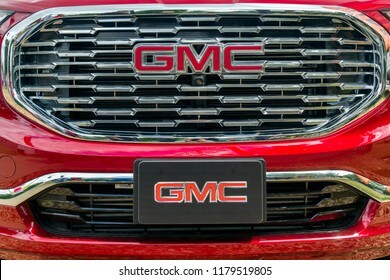 ST. PAUL, MN/USA - AUGUST 29,2018: GMC logo and grille. General Motors Corporation is an American automobile division of General Motors. 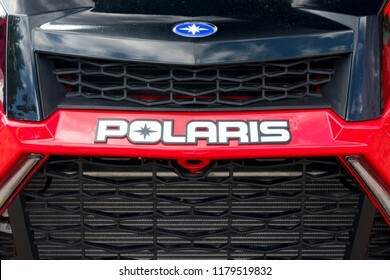 ST. PAUL, MN/USA - AUGUST 29, 2018: Polaris all terrain vehicle detail and trademark logo. Polaris Industries is an American manufacturer of snowmobiles, ATV, and neighborhood electric vehicles. INVER GROVE HEIGHTS, MN/USA - JUNE 17, 2018: Chevrolet automobile dealership exterior and trademark logo. 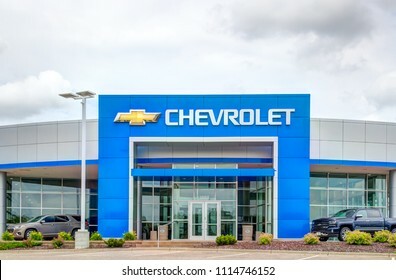 Chevrolet is an American automotive brand. 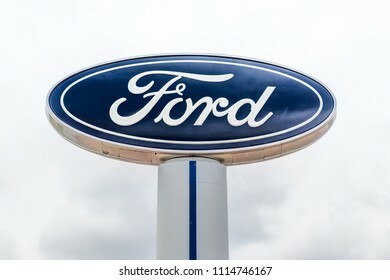 INVER GROVE HEIGHTS, MN/USA - JUNE 17, 2018: Ford autombile dealership exterior and trademark logo. 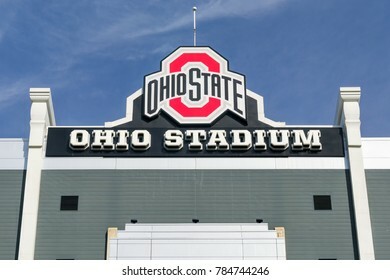 COLUMBUS, OH/USA - OCTOBER 21, 2017: Ohio Stadium on the campus of The Ohio State University. SANTA CLARA, CA/USA - JULY 29, 2017: Dell computer corporate facility and logo. 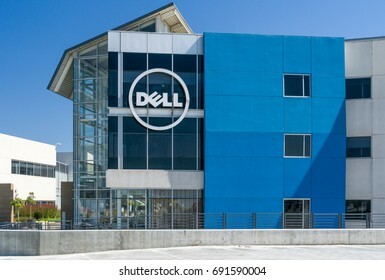 Dell Inc. is a multinational computer technology company. 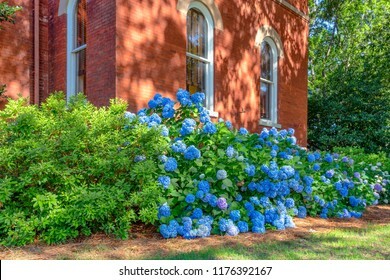 Mass planting of blue hydrangea on the campus of the University of Mississippi. 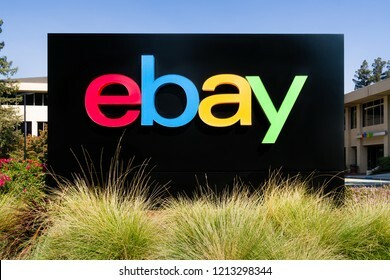 SAN JOSE, CA/USA - OCTOBER 21, 2018: eBay corporate headquarters logo and sign. 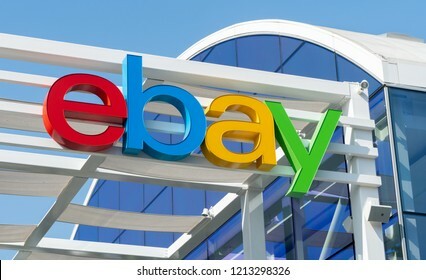 eBay Inc. is an American multinational e-commerce corporation. 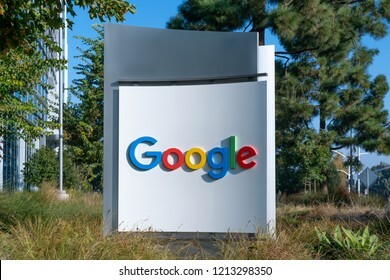 MOUNTAIN VIEW, CA/USA OCTOBER 21, 2018: Google corporate headquarters and logo. Google is an American multinational technology company that specializes in Internet-related services and products. 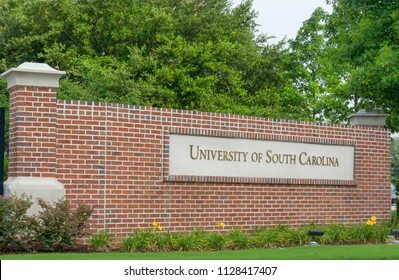 COLUMBIA, SC/USA JUNE 5, 2018: Entrance sign and logo to the campus of the University of South Carolina. 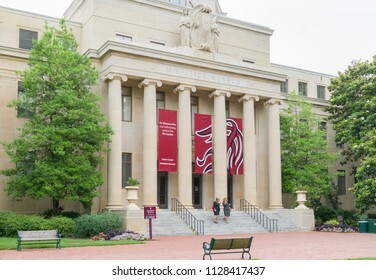 COLUMBIA, SC/USA JUNE 5, 2018: McKissick Museum on the campus of the University of South Carolina. 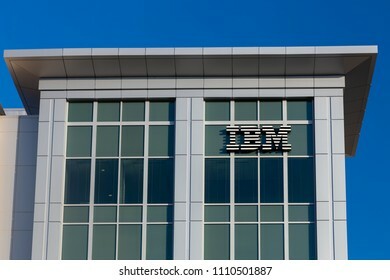 COLUMBIA, SC/USA - JUNE 4, 2018: IBM corporate building and trademark logo. IBM is an American multinational technology company. 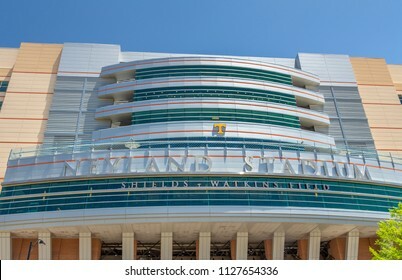 KNOXVILLE, TN/USA JUNE 4, 2018: Neyland Stadium and Shields-Watkins Field on the the campus of the University of Tennessee. RAPID CITY, SD/USA - JUNE 1, 2017: Lowe's Home Improvement Warehouse exterior. 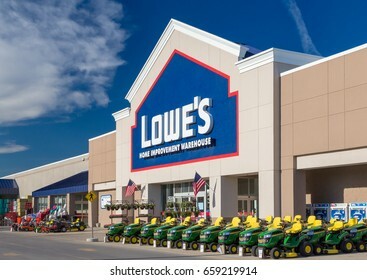 Lowe's is an American chain of retail home improvement stores in the United States, Canada, and Mexico. 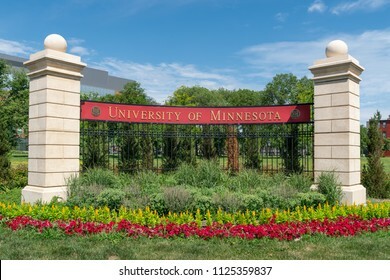 MINNEAPOLIS, MN/USA - JUNE 30, 2018: Entrance sign and garden near Stadium Village on the east bank of the University of Minnesota.